A trip that began as a hope became a reality over spring break 2016. I met with my group of students weekly as they developed presentations, did research, and worked on projects with Enabling Engineering, another Service-Learning student group. We asked questions about what it would be like, and went in with open minds to the complexities of global travel and service. 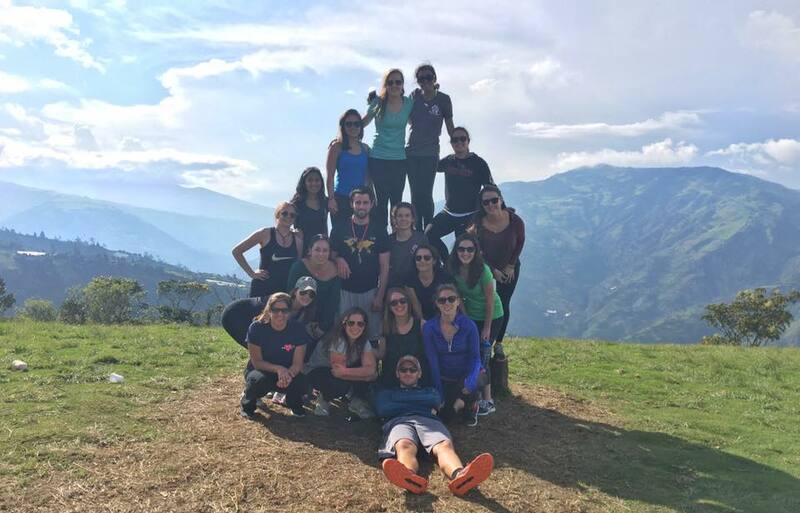 Our group of 14 doctors of Physical Therapy students traveled with Professor Lorna Hayward, PT Sue Ventura, Speech-Language Pathologist Jeanne Mahanna, and high school students Julia Hayward and Jessie Mahanna. We worked with For His Children, a _ organization in two locations in Ecuador: Quito and Latacunga. While there, students performed therapeutic interventions with the children and supported the caregiving tias with any help they needed. 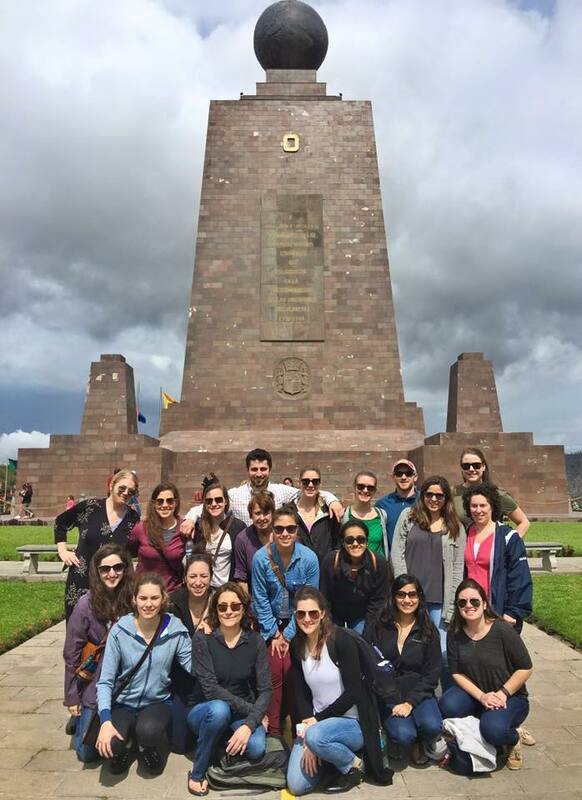 We also got to explore the country, visiting destinations such as the equator for which Ecuador is named (see picture below). Students were able to see concepts of normal development and neuro in real patients, and they applied the ethics of PT and their skills of compassion in the field. Furthermore, they were able to experience the realities of complicated cases, challenging care, and short-time service in another country. As a Service-Learning Teaching Assistant, I had the profound honor of learning alongside these graduate students as they expressed their passion for working with honors and navigated the joys and challenges of short-term service. My undergraduate studies in Cultural Anthropology and my minor in Latin American studies, along with my six-month co-op in Nicaragua, helped me support my students through the learning process by asking questions and opening dialogue about sustainability and impact. As healthcare professionals, cultural humility is key to being a compassionate practitioner. With the support of Professor Hayward, Sue Ventura, and Jeanne Mahanna, I believe these students are learning to be the physicians of the future. Spring 2016 EXPO was Out of this World!